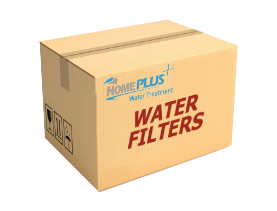 The WH-KDF whole house filter package features dual stage filtration for a wide range of common contaminants that affect the clarity, taste, and odor of residential water. This system features Hydronix's unique multi-depth poly sediment filter which removes dirt, sediment, rust particles, and other particulates down to a level of 10 microns thereby protecting the carbon filter and preserving its capacity. This filter uses the entire depth of its media by trapping the largest sediment particles on the outside of the filter, then gradually stepping down the size of particles it will reject as the water moves closer to the core of the filter. 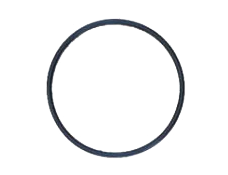 The outer layer is rated at 75 microns. 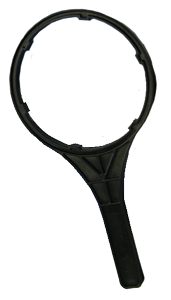 The subsequent layers are rated at 50 microns, 25 microns, and finally 10 microns. The result is longer filter life and higher flow rates (less pressure drop). The polypropylene media is highly resistant to bacteria, making this an excellent choice for well, lake, and stream water treatment applications, in addition to city water. The stage 2 multi-media filter utilizes both KDF-55 and granular activated carbon (GAC) to substantially reduce chlorine, bad tastes and odors, as well as a wide variety of heavy metals including copper, iron (recommended for low levels only), and lead. It has a nominal filtration rating of 5 microns. It features a greater volume of KDF-55 media that most competitor's filters. This filter allows water to enter at one end and pass through the entire length of the multi-media bed thereby maximizing contact time and contaminant removal before exiting the other end (upflow design). 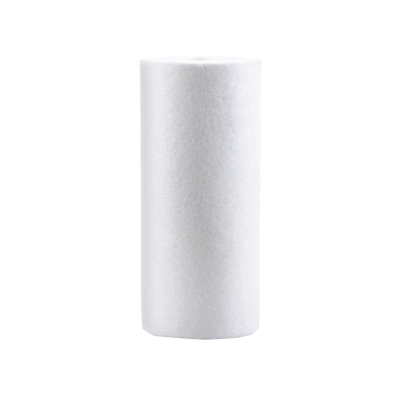 Accordingly, somewhat higher contaminant removal rates can generally be achieved as compared to most radial flow GAC or carbon block filters, although the filter life will be a bit shorter. The WH-KDF is a popular general purpose whole house water filter package where low levels of heavy metals may also be present due to old plumbing or slightly acidic water. It is well suited to sediment and particulate removal as well as the reduction of chlorine, chlorine disinfection bi-products like trihalomethanes (THM's), a wide range of volatile organic compounds, and other contaminants responsible for bad tastes and odors. Low concentrations of many heavy metals including copper zinc iron, and lead can also be removed with the WH-KDF under typical operating conditions. The WH-KDF is an excellent choice for well water, lake water, stream water, and municipal (city) water treatment applications as KDF media it has a mild bacteriostatic effect which inhibits bacterial growth in the filter. For best results, we recommend a maximum flow rate of about 4 gallons per minute, which is sufficient for an average residential application. Note: Some municipalities disinfect their water with chloramine instead of chlorine. We recommend that you confirm which disinfectant your city uses to treat your water supply so you can ensure that you choose the best filter for your needs. If your water supply is treated with chloramine, we highly recommend that you consider the WH Chloramine filter which uses a special catalytic carbon to enhance chloramine removal. Why choose the WH-KDF Whole House KDF / Granular Activated Carbon Package? 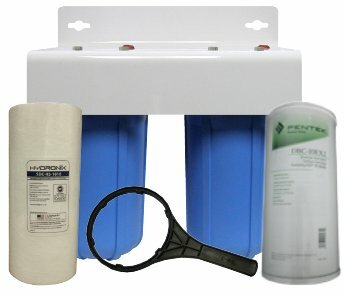 many competitors use small 2.5" x 10" filters in their whole house filter systems, resulting in poor water pressure, short filter life, and less than optimal flow characteristics - we use filters with much greater surface area to maximize contaminant removal, improve water pressure and flow characteristics, and extend filter life so you have less maintenance to do! sturdy powder-coated steel mounting bracket and spanner wrench included! great pricing on system packages are replacement filters - guaranteed best prices in USA and Canada on all replacement filters purchased by the case!ase! * Many factors can affect filter life including contaminant levels, flow rates, etc. Estimated filter life based on 2ppm free available chlorine (FAC), 2 GPM continuous flow, and minimum 90% chlorine reduction. * No carbon filter can remove all volatile organic compounds, especially at high flow rates, however, this filter will remove many volatile organic compounds under recommended operating conditions to improve taste and odor. The contaminants or other substances removed by this water treatment device are not necessarily present in your water.